Learn more about living in our Admiral District apartments. One of the longest standing neighborhoods in West Seattle, the Admiral District is the historic heart of West Seattle. 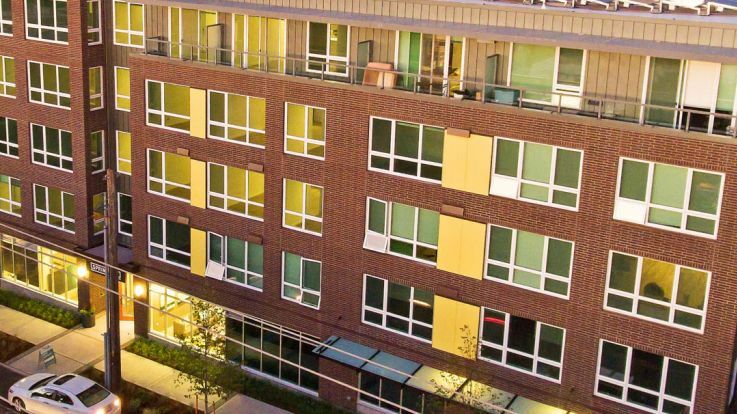 Also known as North Admiral, this neighborhood has everything that makes Seattle as a whole so appealing—a perfect mix of natural beauty and modern living amenities. Explore the 53-acre Schmitz Preserve Park and its ample biking and hiking trails. At the Hiawatha Community Center, enjoy a game of tennis or cool off if the wading pool. At the center of the neighborhood is a collection of dining, retail and the historic Admiral Theatre which has been playing movies since the 1940’s. Make the Admiral District of Seattle your new home with our collection of available Admiral District Apartments. Select from gorgeous homes with amenities that include walk-in closets, private patios, quartz countertops and in-home washer and dryers. Community amenities include rooftop gardens, garage parking, fitness centers and cozy resident lounges. Everything you have been looking for is right here with our Admiral District Apartments.